The Laboratory at Fulton County Health Center is an accredited, full-service laboratory under the direction of a Board Certified Pathologist. Our pathologist and staff work with our medical staff to evaluate all laboratory testing in order to maintain quality and cost-effectiveness to our patients. The Laboratory provides Pathologist services to physicians and Medical Review Officer (MRO) services to physicians and area businesses. 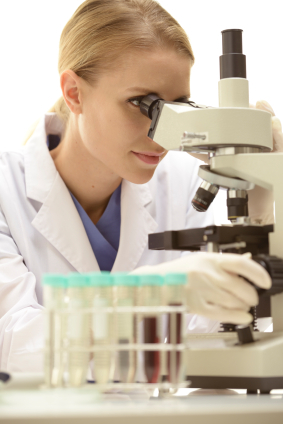 The Laboratory offers Clinical and Anatomical Pathology services. These services are provided to inpatients and outpatients at the discretion of the ordering physician. The Laboratory also provides services to businesses in the area through the Occupational Medicine program. Laboratory tests are diagnostic tools your physician uses to confirm or rule out a suspected illness or disease, track the course of a chronic disease or determine the success of prescribed, ongoing medical treatment. Services are provided from prenatal testing through geriatric testing, covering all age groups. The medical staff approved services offered consist of: Hematology, Microbiology, Clinical Chemistry, Clinical Microscopy, Serology, Immunohematology (including Blood Bank), Breath Alcohol Analysis, Drug Screen Collection and Anatomical Pathology. With the addition of a new off-site laboratory drawing station in Wauseon, Fulton County Health Center now offers five convenient locations for area residents to have their lab work drawn. The new off-site lab draw station is located at 138 E.W. Elm Street (State Route 2) at the FCHC Rehab Center in Wauseon. The new station in Wauseon joins the other off-site stations conveniently located in the following communities: Archbold, Delta, and Fayette. These off-site locations offer both convenience and flexibility by bringing laboratory services to many area communities. Below are specific locations along with the hours open for lab drawings. Open 24 hours a day seven days a week for inpatient care. Open from 7:00 a.m. to noon, Monday through Friday. Open from 6:00 a.m. – noon, Monday through Friday. You will need to provide insurance information upon registration for physician-ordered tests. Due to the requirements of payment by both Medicare and insurance companies, some paperwork may be involved. Please come prepared to present your insurance card, if required.